Ideally, we spend our days with a plethora of energy to get done what needs to get done. 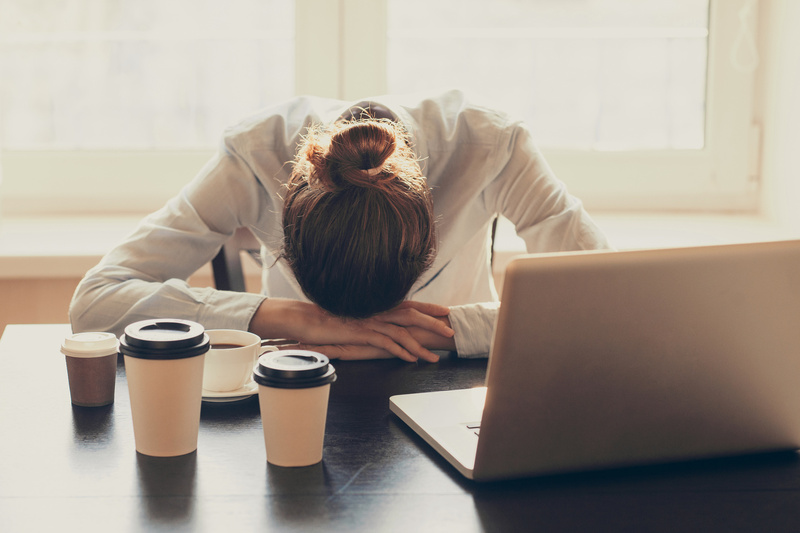 More often though, we end up with not enough sleep; we skimp on breakfast because we’re late, and we experience an afternoon slump that affects our productivity. We want to do it all, but sometimes we just don’t have enough energy to sustain us through our daily tasks. And when our energy fades, it’s not unusual to make less than ideal choices, have ill-timed conversations or push through our to-do list when it might be better to allow things to carry over. It can be hard to resist temptation at the best of times; but at times of low energy, our susceptibility to temptation goes up. Our willpower is lower when we are tired, as are our decision-making powers. When we are tired, we are more likely to play hooky, give in to spur of the moment purchases and make poor nutrition choices. Avoid giving in to the temptation and stay the course until your energy is restored. The most important decisions require a clear head, and that happens when we are well-rested. When we’re tired – we are impatient. We prefer to move on quickly to the next thing, giving us a sense that time is passing by faster than it is. This is not quite what they call ‘decision fatigue,’ it is more like ‘fatigued decisions.’ When we’re tired, our defenses are down, our brain power is lower and our ability to consider important aspects or important details is obviously also lower. When we enter a business meeting, it’s important to be on our A-game. Business meetings can be unpredictable, and it’s important that we can think quickly and logically to protect our interests. We have to be ready to think on our feet, and we can’t do that when our energy is low. Drinking isn’t the only dangerous habit when it comes to driving a car. According to America’s National Transport Safety Board, 100,000 crashes every year involve ‘drowsy driving’, and result in 1,500 deaths. At sixty miles per hour, a car travels 88 feet in just one second. That means that in just four seconds asleep at the wheel – the car will travel the length of a football field. What goes up must come down. Sugary snacks and drinks, caffeine, and other junk foods give us an immediate but temporary boost. Unfortunately, these are the types of food we often reach for when we are tired and looking for a quick burst of energy. We get an almighty stream of sugar to the cells, and it feels good. It’s a short burst of energy, though, with nothing to back it up and keep it going. As soon as that sugar has been exhausted, and there’s nothing to replace it, the inevitable crash will happen. And we usually end up worse than we were before. And it’s not just sugar either. Alcoholic beverages and some foods can also give us a short-term energy lift, only to leave us crashing when we need the energy the most. It is wise to stay away from the vending machines when we’re tired and hungry; it’s important to stay hydrated and nourished with water and whole foods. Having meaningful conversations when we lack energy have a much greater chance of not end well. Whether it’s at work or home, most conversations should be put off until we are in a better place mentally. It’s hard to engage in a relevant and purposeful conversation when we are tired. Anything less than coming into a conversation well-prepared and ready to support our argument with facts can lead to less than desired results. Our day is often made up of a variety of situations, and some of those are more likely to end in increased stress levels if not dealt with appropriately. When we lack energy and patience, dealing with those situations can often go awry. We may end up saying something that we’ll come to regret later, or we may agree to take on something at work or in life that doesn’t fit into our schedule or our plans. The best thing we can do for sustainable energy is to get a good night’s sleep and even squeeze in an occasional nap when we’re able. Eating well, drinking plenty of water and spending a few minutes outside in the sun can go a long way to maintaining energy levels.